The lifetime gift tax exemption amount and the applicable exclusion amount (the amount that can be left free of estate tax) is $5,120,000 for 2012 (or double that amount for couples who plan properly. However, unless Congress acts before year-end, this amount will decline to $1 million ($2 million for married couples who plan properly) next year. Progressive estate tax rates also will be reinstated with a top rate of fifty-five percent rather than thirty-five percent currently. Affluent clients who can part with some or all of their assets today can take advantage of the historically generous lifetime gift tax exemption amount (and thus lock in savings at least $1,400,000 by acting before year-end). One gifting strategy would involve parents forgiving any outstanding loans made to children or grandchildren. The amount forgiven would be credited against the parents’ available lifetime gift tax exemption amount. The debt forgiveness could be done in a way to have no income tax consequence to the parent or child (other than the parent recognizing any interest payment that is due as income if that interest payment is also forgiven). Another strategy might be to balance out gifts among blood lines. If the parents have previously made a gift to a child or grandchild to allow that family member to purchase a home or start a business, the value of that gift can be made to other members of family to equalize gifts made to the various blood lines. For instance, if the parents purchased a residence for one child for $200,000, the parents can gift cash or assets equal to $200,000 each to the other children in order to keep all the children on equal standing. The additional gifts can be credited against the parents’ available lifetime gift tax exemption amounts of as much as $5,120,000 currently (per parent, less the amount previously used by gifts made in earlier years). Many parents want to pay off the mortgages on their children’s residences or to fund retirement plans to assure the children will be secure in retirement. The parents can make a gift to each child in an amount needed to pay off that child’s mortgage (or a fixed amount to each child in order to assure equality between the children) and use part of their remaining lifetime gift tax exemption amount. This will absorb the parents’ gift tax exemption amounts that may not be available in future years. For instance, if a couple had four children and each child received a gift of $500,000 from Husband to be used to pay off each child’s mortgage and/or start a retirement savings fund, Husband could utilize $2 million of his $5,120,000 lifetime exemption amount. This would assure that at least $1 million of gift tax exemption that may be unavailable to Husband in 2013 is used before the change in the law relating to gifts and estates. Wife would still have the full amount of her lifetime gift tax exemption to engage in additional estate tax reduction strategies. Finally, a gift can be made to an irrevocable intentionally defective grantor trust with beneficial provisions for children and grandchildren, and perhaps even a spouse. The amount gifted to the trust would be free of gift tax to the extent of the parent’s currently unused lifetime gift tax exemption amount (up to $5,120,000 for each parent). Estate planning attorneys Alan Gassman, Ken Crotty, and Erica Pless have recently been promoting the use of a SAFE Trust, an acronym for the “Spouse and Family Exempt Trust.” The SAFE Trust is simply an irrevocable defective grantor trust designed to take advantage of a parent’s remaining lifetime gift tax and generation-skipping transfer tax (GSTT) exemption amounts. This is done by drafting a lifetime irrevocable trust to include both children and grandchildren as beneficiaries. If desired, the SAFE Trust can be drafted in a manner that will protect the trust assets from the creditors and divorcing spouses of the children and grandchildren. The SAFE Trust can even be drafted to allow the grantor’s spouse to serve as trustee and to receive income and principal distributions for health, education, maintenance, and support. The American Academy of Estate Planning Attorneys has developed many additional trust planning concepts in addition to the SAFE Trust that can save clients millions of dollars in future gift or estate tax. You should be counseling your clients who may be subject to estate tax starting in 2013 to seek the advice of an estate planning attorney familiar with the multitude of options available to clients to utilize their current lifetime gift tax exemption amounts before the scheduled reduction at the end of the year. 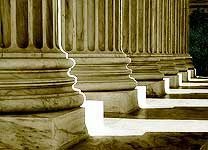 We can inform your clients of the many planning strategies that are available, as well as the risks and rewards of either acting now or continuing to wait for Congress’ potential action relating to estate taxes. For many clients, the best option will be to implement one or more of the planning strategies now. Our office focuses on estate planning strategies for clients of all wealth levels, including clients who will be subject to estate tax at death. Other services include asset protection strategies as well as estate and trust administration. As a member of the American Academy of Estate Planning Attorneys, our firm is kept up to date with information regarding income, gift, estate, and generation skipping transfer taxes. You can get more information about a complimentary review of your clients’ existing estate plans and our planning and administration services by calling or by visiting our website.